Purists may quibble with the inclusions and exclusions here, and there seems to be no real correlation between quality and quantity on The Rap Board. 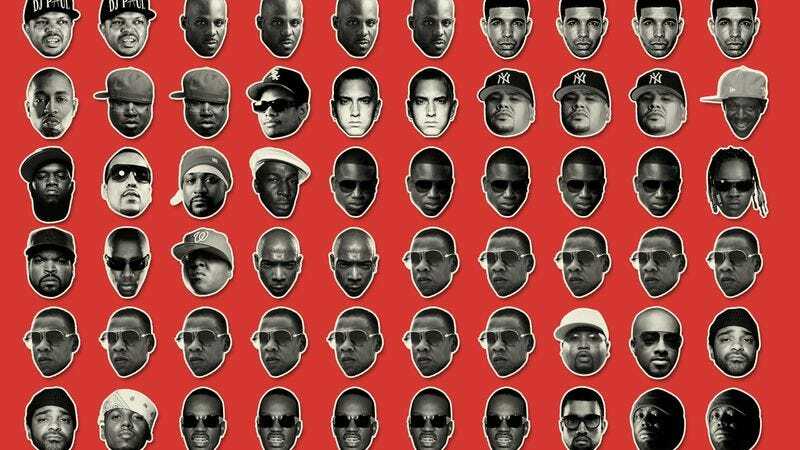 50 Cent, for instance, has more icons on the site than either 2Pac or The Notorious B.I.G., and the only female rapper represented here is Da Brat. No Missy Elliott, no Nicki Minaj. But the site is built around catchphrases and signature sounds. The more of them a rapper has, the more real estate he commands. By far, the two rappers with the most icons are Jay Z and Lil Wayne. Kanye West gets one miserable soundbite: “Uh uh.” The truth, however, is that this soundboard can be a lot of fun for hip-hop fans, especially when used on a device with a touchscreen. With enough time and determination, you could even create an entire song out of the brief audio snippets included here.